Bloodshed continues for converts in heavily Islamic region. NAIROBI, Kenya (Morning Star News) – Islamic extremists in eastern Uganda on Tuesday (Dec. 8) set a deadly trap for a Christian policeman who had left Islam, and the next day other hard-line Muslims kidnapped three children from another convert in a nearby village, sources said. More than 20 Muslim extremists in the Komodo area of Kadama Sub-county, Kibuku District, killed officer Ismail Kuloba at about 4 p.m. after he responded to an urgent call to intervene in a supposed land dispute between warring parties, an area Christian told Morning Star News. Kuloba was 43. Stationed in Kagunu, Kuloba and three other policemen went to the site of the alleged dispute in nearby Komodo, but when they arrived they found no parties in conflict over land, only a group of Islamists who surrounded them, said the source, whose name is withheld for security reasons. Some in the group knew Kuloba personally, and some were angry at him for leading other Muslims to Christ in the area, he said. One of the assailants, Mudangha Kasimu, threw a stone that hit Kuloba in the forehead, he said. Kasimu and another Muslim extremist took the guns the policemen were carrying and retreated to Kabweri, about three kilometers from Komodo. The source said the Muslims involved in the attack are from Kabweri and Dodoi, and others are residents of Komodo, which has a population that is about 70 percent Muslim. It was not clear if the other policemen tried to stop the assault on Kuloba. When Christians from outside the area heard about the killing, some set Kasimu’s house on fire in retaliation, the source said. “Tension is high in the area, because it appears the Muslims plan to retaliate,” he said. Area Christians are in shock at the killing of Ismail, he added. An hour after the deadly assault, police arrived to take Kuloba’s body. 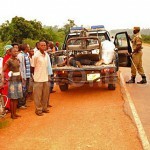 About 12 miles east in Kabuna, near Budaka in Kaderuna District, a group of Muslim men from Palissa on Wednesday (Dec. 9) kidnapped three children of Badiru Madengho, a Christian convert from Islam, sources said. Madengho, 42, arrived at his home in Kabuna Sub-country, Kabuna parish, at 10 p.m. to find 5-year-old Shakira Nabukwasi, 7-year-old Amuza Gessa and 10-year-old Musitafa Wagti missing. He immediately reported the absence to Local Council One in Kabuna Sub-county. He also reported it to the Budaka Central Police Station, where officers filed a case under reference number SD 44/11/12/2015 and are investigating. An area source said a 14-year-old boy from Kabuna, Karami Hassan, was with Madengho’s three children when they were abducted near their home. “Yesterday [Dec.13] I interrogated Karami, who told me of a group of Muslims from Palissa who were looking for Badiru Madengho,” he said, adding that the boy led them to Badir’s children. The source said he will report the boy’s account to police, who are searching for the kidnappers. “The boy will have to go on the record about the incident, and possibly this lead will help get the kidnappers,” he said. 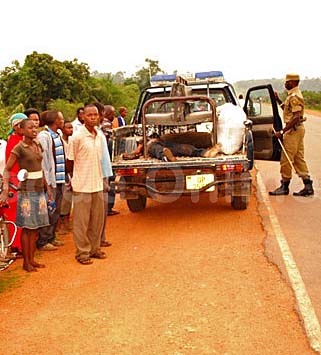 The incidents were the latest in a series of attacks on Christians in eastern Uganda. Outside of Kabeshai, near Palissa, a Christian father of five who supported 10 children whose families had disowned them for leaving Islam was killed on Dec. 2. One of three men who attacked Patrick Ojangole reproached him for failing to heed a warning to cease his Christian activities before the Christian was killed, said a witness who was with Ojangole and escaped. Ojangole was 43. The father of a young Muslim woman in east Uganda on Nov. 12 tried to beat her to death after she became a Christian, but community leaders intervened and limited him to disowning her, sources said. Kibida Muyemba learned that his 21-year-old daughter, Namusisi Birye, had put her faith in Christ at an evangelistic campaign held that day in Nandere village, Kadama Sub-county, Kibuku District, 41 kilometers (25 miles) west of Mbale, church leaders told Morning Star News. Birye and a man in the traditional dress of an imam confessed openly to receiving Christ, they said, and angry Muslims cut the event short. On Oct. 19 Muslims in Kalampete village, Kibuku District who were angry at a Christian for leaving Islam killed his wife, a month after his brother was killed for the same reason.